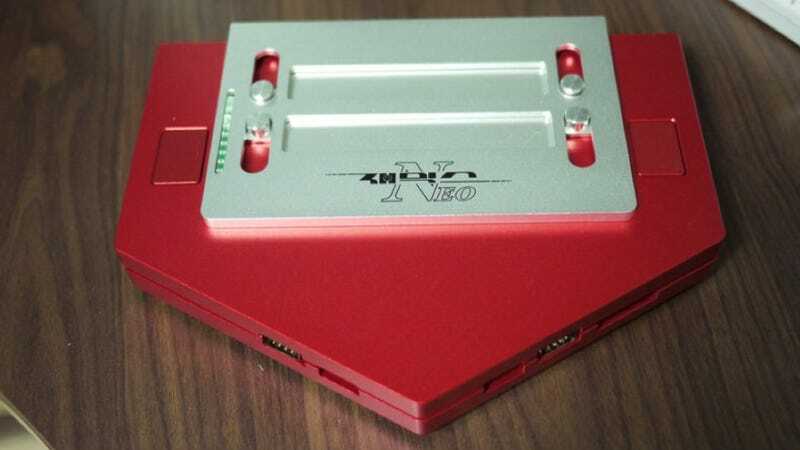 Diehard Fans in Korea Made Their Own MSX Console. It's Pretty. The MSX might be gone, but its fans still live on. And a group of them in South Korea decided to launch their own MSX machine. This is it. The MSX was a classic machine that even saw the birth of Metal Gear in Japan. Between 1985 and 1991, Daewoo released a version of the MSX in neighboring South Korea called the "Zemmix". It was quite popular! But Daewoo is gone and so is the MSX. As tipster Sang points out, ten or so brave souls recently decided to launch their own MSX machine, calling it the "Zemmix Neo". This is hardly the first MSX revamp, but it's an interesting looking one. The console has full MSX compatibility up to MSX2+, dual cartridge slots for accessory carts, keyboard support, USB ports, and a SD card slot. A Korean industrial design student who is currently living in Germany designed the console. This might explain why the aluminum body looks quite nice. And pointy. Only a hundred units were produced. The demand and interest were so great that earlier this month, the team announced that it was working on a follow-up: Zemmix Neo 2.